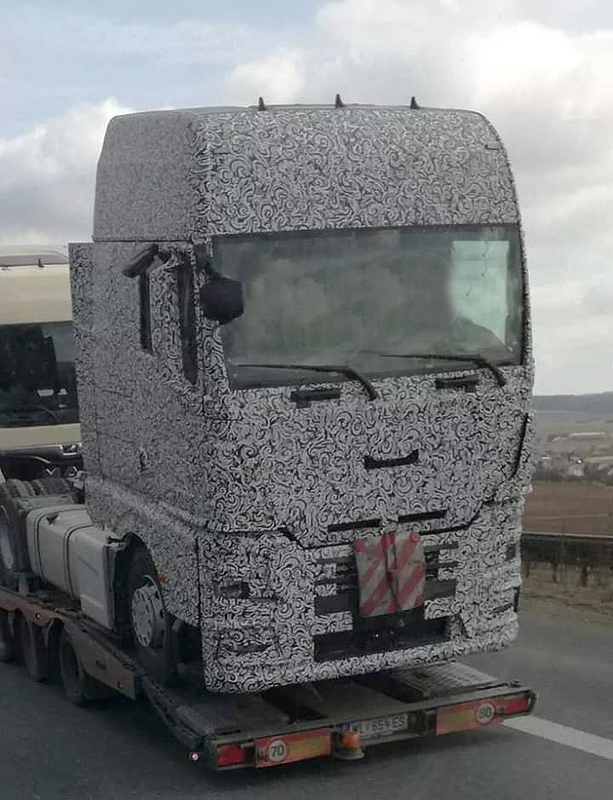 MAN is working on a new truck generation and again a heavy camouflaged truck was spotted. The base of the cab seems to be the same but the roof is new, just like the doors. This truck still has the huge mirrors but we think MAN has to come up with something smaller or more clever. Mirrorcams perhaps? The big question is how much technologie is going to be shared with Scania. Is this truck going to have more Swedish details in it? We will learn everything probably later this year when we espect the launch.